The San Antonio Breast Cancer Symposium (SABCS) is an annual scientific symposium for interaction and exchange among basic scientists and clinicians in breast cancer. It brings the best of rigorously conducted, ground-breaking basic (lab-based) research and clinical (patient-based) research to the fore, and allows for in-person networking and interaction between researchers, clinicians and surgeons from around the world. In this post, I will summarize some highlighted presentations. Clinical trial data in the metastatic setting is often initially presented as improvements in overall response rate (ORR), time to progression (TTP), or progression-free survival (PFS); data in overall survival (OS) can take years to accrue. This year Dr. John Robertson presented the OS data from the previously presented phase II FIRST study of fulvestrant vs. anastrozole in first-line treatment of postmenopausal patients with ER+/PR+ metastatic breast cancer (MBC). This study was initially designed to report on time to progression. A new updated review of outcomes on these patients showed a median OS of 54.1 months with fulvestrant vs. 48.4 months with anastrozole. The possibility of an OS advantage with fulvestrant over anastrozole is now being examined prospectively in the FALCON trial. These types of trials showing incremental benefit with evidence-based use of well-tolerated, effective drugs that lead to changes in practice guidelines are important and deserving of public support. Targeted therapies such as trastuzumab for patients with HER2+ MBC have high response rates, but tumor cells evolve to proliferate and progress despite HER2 inhibition. Research is ongoing into overcoming or delaying the onset of these resistance mechanisms. Researchers have observed increased activity in an alternate cell growth pathway, the PI3K-MTOR signaling pathway, in tumors that have become resistant to trastuzumab. This led to a study of adding targeted MTOR inhibitor drugs such as everolimus to the treatment of trastuzumab-resistant HER2+ MBC. The BOLERO-3 study (previously presented) examined patients with HER2+ MBC previously treated with paclitaxel or docetaxel chemotherapy + trastuzumab, who then experienced progression of disease. This trial compared second-line treatment with trastuzumab + vinorelbine + everolimus vs. trastuzumab + vinorelbine + placebo. There was a reported improvement in median PFS from 5.78 to 7 months, an intriguing but not necessarily practice-changing finding. At SABCS 2014, Dr. Sara Hurvitz presented the BOLERO-1/TRIO 019 trial, examining the outcomes of first-line treatment with trastuzumab + paclitaxel + everolimus vs. trastuzumab + paclitaxel + placebo. When looking at all of the patients in this trial, no advantage in median PFS was seen. However, in the subset of patients who had ER-/PR-/HER2+ tumors, there was an increase in median PFS from 13 months to 20 months. This result did not reach statistical significance, but is hypothesis-generating – i.e., provides “food for thought” – for further studies regarding the role of MTOR inhibitors in overcoming or even preventing resistance to HER2 targeted therapies for particular subsets of patients. There has been an explosion of development beyond everolimus in targeted therapies in the PI3K-MTOR signaling pathway. PI3K mutations are found in ER+ MBC more often than HER2+ and triple-negative [ER-/PR-/HER2-] breast cancer (TNBC). PI3K inhibitors such as pictilisib and many others are being designed and examined in currently open clinical trials prospectively designed to optimize identification of subgroups of patients who may benefit, with preplanned stratification for specific gene mutations. Dr. Ian Krop reported on the FERGI trial, which examined patients with ER+ MBC previously treated with an aromatase inhibitor (AI), treated with fulvestrant + pictilisib vs. fulvestrant alone. A statistically significant PFS advantage was not observed with the addition of pictilisib, and additive skin and gastrointestinal toxicity led to dose reductions of pictilisib. However, the subgroup of patients with PR+ MBC had a PFS of 7.4 months with fulvestrant + pictilisib vs. 3.7 months with fulvestrant alone – again providing “food for thought” for future research directions. Among the most personally exciting presentations at SABCS 2014 was newly published data in the use of PD-1 inhibitors, PDL-1 inhibitors, and other immunotherapies that directly target and modulate the response of the immune system to cancer cells. Anti-PD-1 antibody drugs such as pembrolizumab and nivolumab have just been approved in the treatment of metastatic melanoma in the past several months, with unprecedented response rates and long durations of response observed. Pharmaceutical companies are racing to find additional applications of these immunotherapies in other cancer types, and investigators and clinicians are racing to get their patients access to these trials. PD-1 is a protein normally expressed on activated T cells which, when binding to its ligand PDL-1, leads to decreased activity of the immune cell, and normal regulation of the activity of the immune system. Tumor cells gain a survival advantage when they hijack this essential bodily mechanism by abnormally expressing PDL-1, which then allows them to hide from immune surveillance. Dr. Rita Nanda presented the Phase 1b KEYNOTE-012 trial, wherein a small group of heavily pretreated patients with TNBC whose tumors expressed PD-L1 (58% of those screened) were treated with pembrolizumab. The overall response rate was 5/27 (18.5%) patients: 1 complete response (3.7%), 4 partial response (14.8%), 7 with stable disease (25.9%), and 12 with progressive disease (44.4%). It should be noted that pembrolizumab and other drugs in this class to date have been relatively well-tolerated and are given by IV infusion every 2-3 weeks. Immune therapies can also have a notoriously slow onset of observed response, with median time to response in this group of 18 weeks (compared to a standard expectation of observation of response by 8 weeks with targeted or chemotherapy drugs). The most inspiring note was that of the 5 patients with complete or partial responses, three had sustained responses almost a year out. In the adjuvant (post-operative, no evidence of residual disease) setting, patients are experiencing better long-term survival than ever before. The new question is how to optimize adjuvant care, providing enough treatment to gain the desired reduction in the risk of recurrence, while avoiding excess toxicity caused by unnecessary therapy. Dialing back treatment is a difficult paradigm shift. However, change was in the air at SABCS 2014. The reported NSABP B-36 trial showed no difference between 4 cycles of AC [doxorubicin + cyclophosphamide] vs. 6 cycles of FEC [5-FU, epirubicin, cyclophosphamide] chemotherapy, and this relates to a previously presented study showing equivalence of FEC vs. EC. With some use of the transitive property (if x = y and y = z, does x = z?) one could conclude that 4 cycles of AC are equivalent to 6 cycles of EC, eliminating the 5-FU from the equation. The NSABP B-40 trial reported no difference in outcomes with adjuvant T [docetaxel] → AC with or without capecitabine, thereby eliminating the role of adjuvant capecitabine (oral 5-FU). Dr. Gunter Von Minckwitz presented the ICE study of ibandronate given with or without capecitabine in elderly patients, successfully showing no difference in 5-year disease free survival, again eliminating the role of capecitabine in this regimen. Dr. Joseph Sparano reported an update from the E1199 trial showing that four different schedules for providing adjuvant AC → T were largely equivalent with the exception that weekly paclitaxel was superior to every 3 weeks paclitaxel or docetaxel in patients with TNBC. Dr. G. Thomas Budd reported an update from the SWOG 221 trial of four different schedules for adjuvant AC → T and among patients with TNBC, an every two week (aka ‘dose-dense’) AC → T regimen showed the best outcome. Although these pick-the-winner questions may seem small compared to the frothy excitement of new drug discovery, meticulously designed multicenter clinical trials with long follow up such as these are crucial to optimize outcomes, improve guidelines, and decrease the burden of care in toxicity and cost. There were also heartwarming updates in improving quality of life for breast cancer survivors. 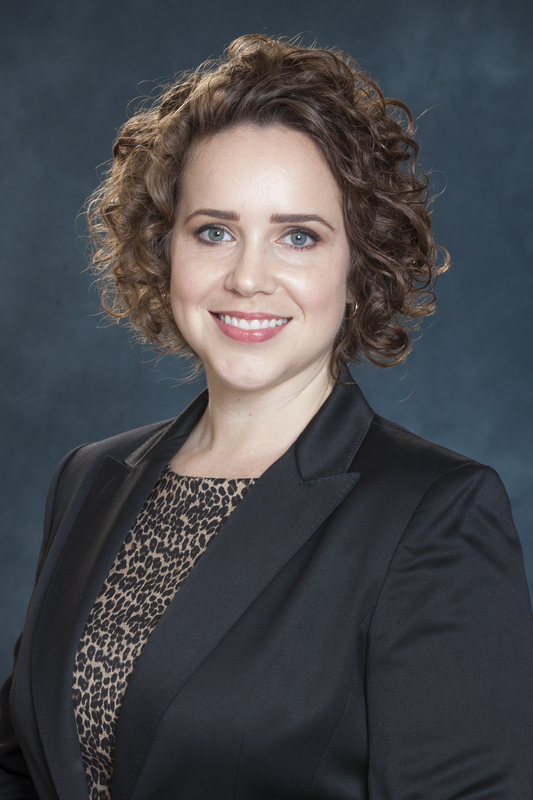 Dr. Halle Moore reported an update in fertility preservation during adjuvant chemotherapy with the POEMS/S0230 trial, with the addition of goserelin during adjuvant chemotherapy improving 2-year post-treatment ovarian failure rate from 22% to 8%, with a concurrent increase in the number of successful pregnancies. This adds a treatment option to previously reported data with similar outcomes using triptorelin. Providing modern cancer care ranges from understanding and utilizing advances in molecular biology to provide “personalized medicine,” to applying clinical knowledge, empathy and attentiveness to customize a treatment plan for each unique person from guidelines based on population data and clinical trial statistics. Close attention to newly published data, and attendance at conferences such as SABCS, helps your healthcare provider continue to bring you the very best in cancer care.